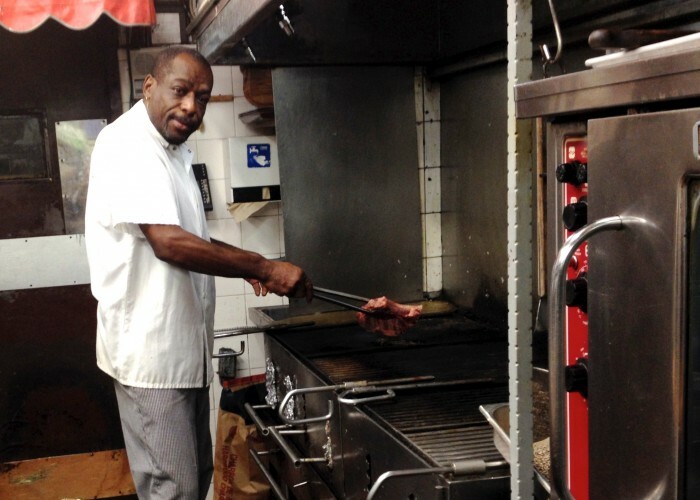 Chef Scott Thompson has worked behind the grill at Barberian’s for 30 years. Scott’s favourite part of the job is meeting the famous patrons who have come through over the years: everyone from heads of state (including all of Canada’s Prime Ministers of recent memory) to athletes to movie stars. A devoted hockey fan, Scott’s favourite celebrity encounters have been with team members from the Montreal Canadiens and the Toronto Maple Leafs. 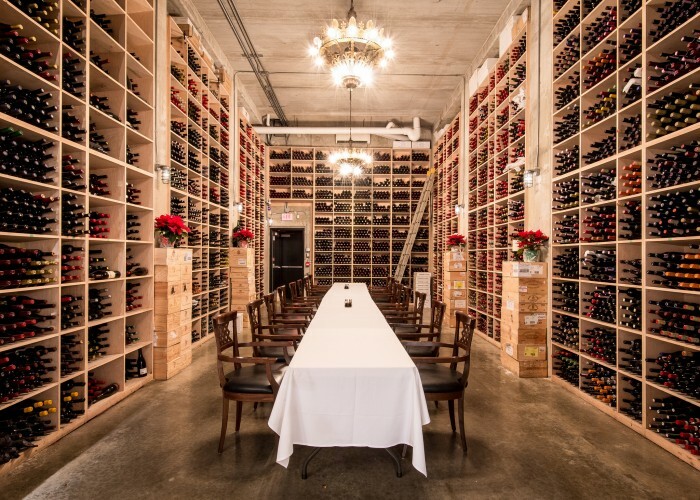 The famed Barberian’s cellar houses over 30,000 bottles of wine. 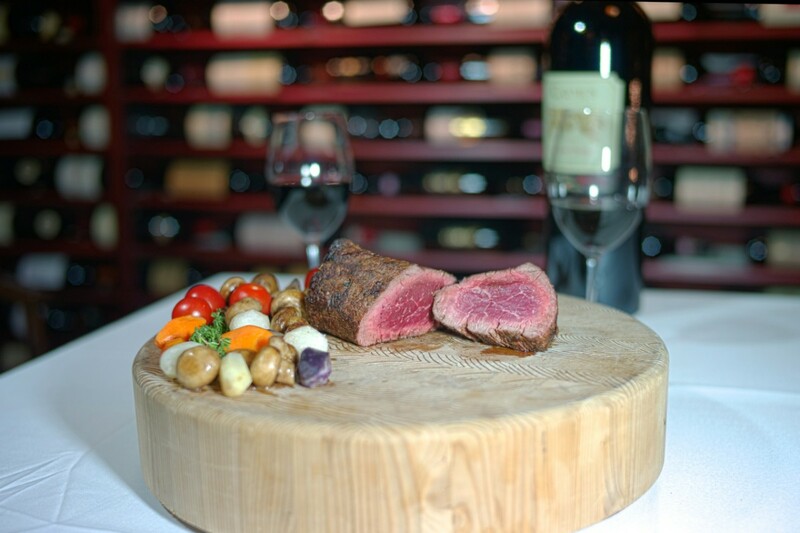 While the interior decor at Barberian’s is not unlike that of a traditional pub — low-lighting, paisley wallpaper, landscape paintings — upon closer inspection, customers will realize that the restaurant is steeped in history, Canadian history to be precise. Many of those landscapes are original paintings by members of the Group of Seven including A.Y. Jackson and Lawren Harris. The rifles hung above the front bar are from the Riel Rebellion. A framed cover of The Globe and Mail greets patrons; the vintage newspaper displays a Confederation Day date. There are cabinets full of invaluable collectables and enough antique treasures to make any auctioneer swoon. 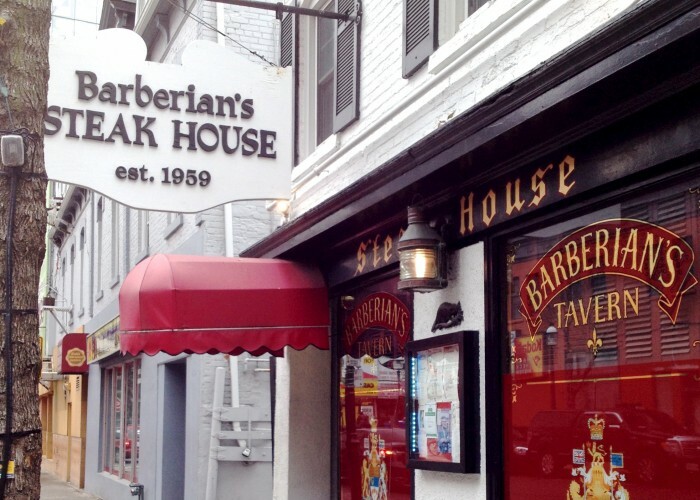 Elm Street entrance to Barberian’s Steak House and Tavern.